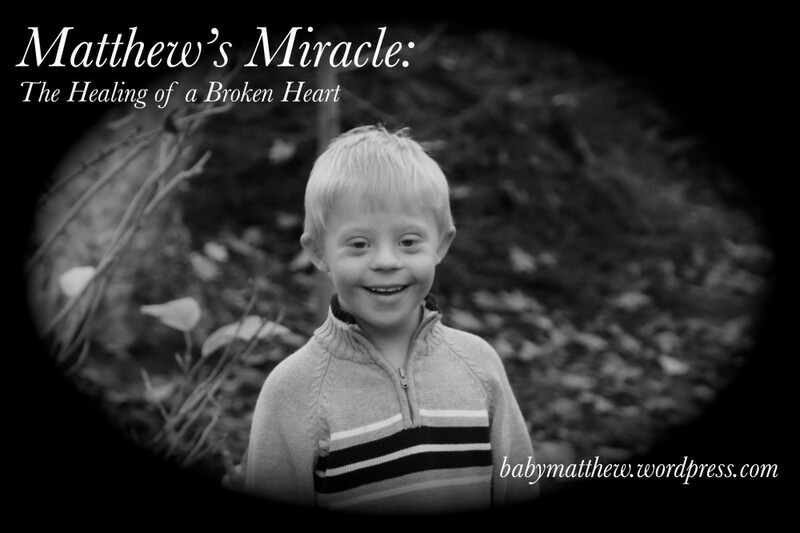 Today is Matthew’s eleventh birthday! Eleven!! Can you believe it? Nobody loves birthdays as much as Matthew does. He loves the joy, celebration, friends, family, ice cream cake, presents – no matter whose birthday we’re celebrating, he’s all for it! But, there is something very, very special about his birthdays. All of the kids recognize it, and plan for weeks. They count up their chore money to see what gift they can buy for him, help plan his party and his cake, and help him count down the days … all just to hear that joyful squeal and see his big smile when his big day comes. This is the child who wasn’t supposed to have a “tomorrow.” This is the child that wasn’t expected to live through the night… who kept us up more than once, wondering if he would live another day. Yes, Lord, thank You for all of the “tomorrows” that You have given us with this beautiful, joyful, loving child, and all of the tomorrows yet to come. May we all be thankful for our own tomorrows.